Check out my Luxor box reviews to learn more about this box. I was excited about this deal, but the customer service is non-existent. Multiple emails sent with no response going all the way back to July! I can’t gamble a couple hundred dollars on a company that can’t bother to return an email. Had to get a refund from Gilt. I really hope everyone loves their boxes though. I’m already having major FOMO. I purchased the 3 month subscription (2 boxes). September is going to be first box so the November (2nd box) is already paid for. But on my Luxor account it shows my next bill of $139 will be the billed to my credit card on November 7th for that box. Is anyone else’s account like this? I think it’s messed up because we were originally supposed to get the July box on this offer. I continue to have problems. My current account with 2 boxes left on it is locked. I cannot access it. I created a new account under my daughter to use the Gilt City voucher and it is not accepting it. Update: I did get the coupon code to work after switching to a different browser. I just used the site and used the voucher correctly and it charged my card $139! I’m so annoyed, they better hurry up and fix this! Did this happen to anyone else? The website works like a charm, if instructions are followed. For subscribers who have entered numbers that don’t work, maybe check to see if the “Voucher Number” is being used? The Gilt email that contains the information starts off with the “Order Number”. The voucher number for Luxor is actually in the mid-body of email. I did ANNUAL, but chose the option for “$139/Every Other Month”. Entered “1”. Then my voucher and it zeroed everything out. This is per the instructions. Luxor isn’t responsible for Ruelala/Gilt giving refunds. The timing of the Gilt transition was Luxor’s bad luck. Vouchers are often a pain to redeem…so I really can’t say that “Luxor is shady”. From Six Flaggs season passes, nationwide restaurant chains, concert tickets…etc., I’ve been frustrated many times by the lack of process and even basic knowledge about the offer when redeeming the deal. I’m hoping this was a quick fix for Luxor and they’re working like crazy to get July out. I’m also hoping that once July ships Luxor will circle back around with additional clarifying communication and fix outstanding issues. I don’t understand the mentality behind putting down a person/company/entity while attempting to do business with them. Formal complaints and experience sharing is valid. Which can be done respectfully and with limited patience. Regardless if the website was “Gilt Voucher Ready”…boxes weren’t shipping until September. Horrible – had to unsubscribe. no response to my 3 emails and the coupon from gilt doesn’t work – credits me only 1 box instead of 3. Asked Gilt for a refund. Really poor customer service. No phone number, no response, not a working web site = SCAM. The instructions they sent stated the vouchers will be honored with the time period purchased . Luxor instructions said to enter “1” regardless of which voucher you bought. How is it a scam, if they have apologized, sent instructions and are following through…even doing some upgrades to their website? User errors or poor process or unpreparedness does not equate to scam. That’s like saying, “I’ll pick you up for dinner at 6:00”…hit a traffic jam and after many excuses arrive at 7. That’s life. There’s variables for human error, nature, technology…miscommunication. Behind the name Luxor…are real people, and a real business (Gilt vets businesses prior to engagement). Luxor has been delivering sub boxes for a period of time when many many others have folded and disappeared. If Luxor was out to scam, I doubt they would process payments/customers through a third party service that takes a chunk of the gross revenue. I also doubt they would accept PayPal and agree to their chargeback terms. Instead of paying influencers and crazy high fees to affiliates they decided to use a discount site as many reputable companies choose to do. Thoughtful remarks are appreciated. Name calling and unfair labels don’t really do much to solve the problem when there is plenty of time….1st Box is sept. I keep getting an error that says my promo code is not valid. I’ve contacted Luxor support twice and have not heard back. Getting a little concerned about this! I followed all the instructions and still get the invalid promo code. I hate having to give billing info when I’ve already paid for this. I don’t get why they need it. I got a your subscription is cancelled and it won’t take my code. I sent another email .. waiting. I feel for Customer Service… this must be a nightmare for them. I think the point, like most deals (I think all) is that the deal is the offer to get you to subscribe. Read the details on billing date and your calendar to prompt cancellation prior to it. And in the meantime, enjoy September, November, January…at 50-70% off…. I took the deal.. and am really excited about this generous offer! Same here. Contacted Gilt, they have to “send it higher” to get an answer on why it won’t accept it. Very frustrating, eh? Still not working for me either. Obviously a problem on their end. Grrrr. I’ve just done this and I think it’s all okay – they actually have a really nice dashboard to document your subscription and mine shows that my next bill date is September 10th, and the billing amount is $0.00 (I did an annual subscription), so I figure that I’ll just see that for the next six boxes. I know it’s all been a bit car crash with the set up, but having worked in marketing for years now, I unfortunately know only too well how technology can mess up even the best intended promotions. 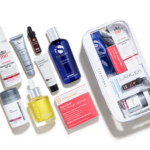 Can’t wait to get my September box and start this subscription – been wanting to try it for ages now and just couldn’t persuade myself that the cost was justified. When things started getting weird on July 2nd is when I contacted Gilt and they gave me refunds. I don’t regret it. Gilt cancelled my purchase TWICE. I took that as a sign to not buy this sale. When I called them for the second cancellation they told me it went thru and I was all set, not true. I requested my refund the day after I got the voucher and began to see the train wreck coming. I don’t regret it either. I only want to sub with stable, reliable companies who can problem solve quickly. So yeah, I missed that bullet. It took me weeks to get any help from Gilt, and then they refunded me but only gave me a merchandise credit. I am so mad knowing other people got money back. Well I did it ! I I followed their instructions and entered 1 box even though I have a yearly subscription and paid with Paypal which did not charge me anything. 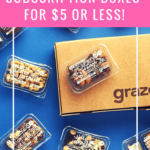 So hope they don’t mess it up and I get my yearly subscription 6 boxes starting September. I have my email saved from Gilt and really just hoping they resolve any issues as promised. I am really looking forward to these boxes since I loved all the previous ones. So keeping my fingers crossed and glad I was patient and did not cancel my order because I just had a feeling I would regret it if I did. Now looking forward to spoilers for September’s box ! I see now that they are trying to charge shipping on top of the cost of the voucher because I am from Canada. Which would be $60 and makes it not worthwhile to me. I also had hoped to get the July box due to the spoiler and have found out we can’t. Was anyone successful in getting a refund from gilt? A lot of people were able to get refunds from Gilt. Yes but don’t use the shipping as a reason since it did state that “shipping and taxes were not included in the voucher” any other reason is legit so take your pick of those. Easiest being that they weren’t prepared to honor their contract on the date the states and to date it isn’t 100% worked out. I don’t know about y’alls but my voucher says free shipping is included. I would hope everyone’s is the same. If they are, I sure would be fired up about being asked to pay. This has been a mess from the beginning but I’m holding out a bit longer hoping they get it together. That being said, if they try to charge me for shipping, I will be one unhappy former customer! Well…I did it wrong. Hopefully they can fix it so that I don’t get 3 September boxes. I emailed customer service so hopefully there is something they can do. It sounds like this is a common problem. Same here. I just wrote to them and will share if I have a response. I purchased 6-months (3 boxes) and entered 3 that was accepted with a $0.00 balance. My concern is that they will charge us for boxes 2 & 3. Still showing invalid code for me, too. Can someone please clarify… so I bought a voucher for a 1-year subscription, I still just enter a quantity of ‘1’ on the site and it should register for all 6 of my boxes? I’m confused and want to make sure I do this correctly… Thanks for your help if anyone knows how this works! I had the same question but I went ahead and did it per the instructions by adding quantity of 1 then my voucher number then set it up under paypal and wasn’t charged anything. I’m just as confused as everyone else because I bought a 1 year but I’ll just make sure I keep the gilt email showing my “one year subscription” purchase if they try to charge me after September’s box. Hopefully everything will work out. Luxor Box just to be clear again – if you purchased an annual subscription – enter quantity of “6”. Correct? Luxor Box Carol Pickersgill Hello Carol, no you need to enter a quantity of x1 and your discount code will deliver the discount of 6 months. Luxor Box As mentioned previously, your discount code gives us this data. All of the data we need is in your code in regards to how many months you have purchased and what is your discount. We apologize for any confusion caused but it is really straightforward you enter your discount code and the quantity is the number of boxes you would like to receive per month. Our system automatically knows that you’re a twelve-month member for example just from your discount code. I’d be very wary of this since you have to hit agree to their terms online. I’m waiting for them to fix the website so that I’m not stuck in a contract that I didn’t want. PS – we will be sending out specific steps on how to redeem each type of voucher. Thank you so much for your patience with us as we work through this. We look forward to having you! I’ve never been so sure of my choice to ask for a refund! I bought the 2 box/3mth and added quantity 2. It says 1 subscription and showed credit $278 and 0 charged but then says charge of $278 every 2 mths. I emailed to clarify but the voucher did go through. Pretty sure that you were only supposed to enter quantity of 1 and you’re now signed up for 2 3-month subs. You may need to cancel the other before you’re charged $278. Dang it! Well it is confusing and I wouldn’t expect everyone to enter a 1 and they just know based on the voucher number since there are 4 different options. Why even have a quantity option if we are all supposed to put one. Mine said bill $278 every 2 mths but next billing September $0 due. Should have waited but wanted to get it done before I forget. I did the same thing because I did it on Saturday and there were no instructions. I’m sure they’ll fix it but I’m waiting a few days before emailing so they can sort out all the other stuff first. Anyone else having an issue with their promo code coming back ‘invalid’? Still showing invalid code for me as well..no response via email. Through Facebook messenger I received a message stating they would look into it and resolve it for me. Nothing as of yet however. I’m having no luck but possibly there’s a rush at the site right now. Maybe I need to try a different browser? Did anyone else have Gilt CANCEL THEIR ORDER? I bought an annual sub as soon as liz posted about it (June 29) and FIVE DAYS after I fully paid for it, Gilt erroneously cancelled my order. They admitted it was their error, but there’s no way to correct it as the boxes were sold out! To say I am livid really underestimates things! No, but that doesn’t make a lot of sense. If they cancelled your order then there would be one more in “inventory” and it wouldn’t be sold out anymore. You would think that… but no. I had the same thing happen! They claimed they sent emails saying that my payment didn’t go through, but I have no emails like that from Gilt (though I do have other daily emails from Gilt) and my bank says they didn’t deny any charges. I was looking forward to trying Luxor out and will cry if this turns out to be the worlds greatest deal and I missed it. Same! I hope it applies correctly. Thanks, Liz. So if you have a multi-month subscription you just add the one month and then you aren’t billed for the number of months of your subscription. No need to change the number of boxes. I bought a 6 month subscription and am excited to finally be able to try this box. I did have to add payment. I used paypal but was changed $0.00. Hope that helps. Same, I used PayPal and was charged $.00, but it’s not clear anywhere that I subscribed annually. I’m hopeful that they send me the 6 boxes I paid for!